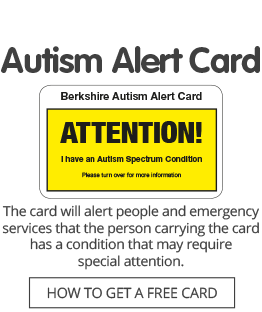 Autism Berkshire works with the Autism Pathway team at Berkshire CAMHS to provide information and signposting advice to parents and carers with children aged 5+ who are on the waiting list for an autism spectrum assessment. Our Autism Seminars for Families about Understanding Autism include information about the CAMHS autism assessment process and are led by trained staff from Autism Berkshire who are also parents of children and young people on the autism spectrum and have first-hand experience of the process. Parents and carers can also get advice to support their child during the period waiting for an assessment appointment at our drop-in advice sessions held every week during school terms in Reading and Slough, the monthly coffee mornings at Swings and Smiles in Thatcham, and at our support groups in Bracknell, Slough and Windsor. Click here for details of these sessions. Our services are supported by funding from the East Berkshire and Berkshire West NHS Clinical Commissioning Groups.